Jon doesn’t believe in ghosts. Not even if his mother does, and married a man who researches ghost sightings for his own TV show. Not even when they travel with the show, and visit “haunted” places. But his younger sister Tania claims she can see the ghosts. Deciding to believe her is just the first challenge. Softhearted Tania wants to help the ghosts. 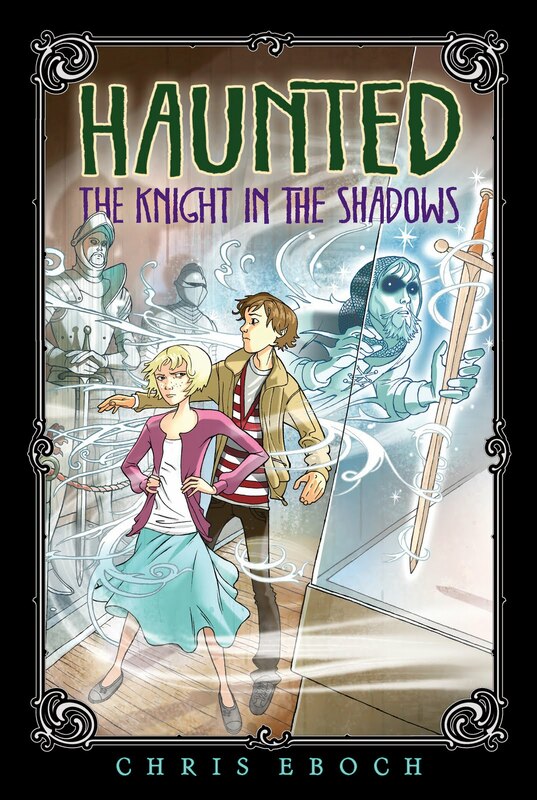 First the siblings have to find out what happened to keep each ghost trapped in this world. Then they have to help the ghosts move on—sometimes by letting them take over Tania’s body. All this while dealing with their overprotective mother, a stepfather who’d want to exploit Tania’s gift, and a changing assortment of human troublemakers. 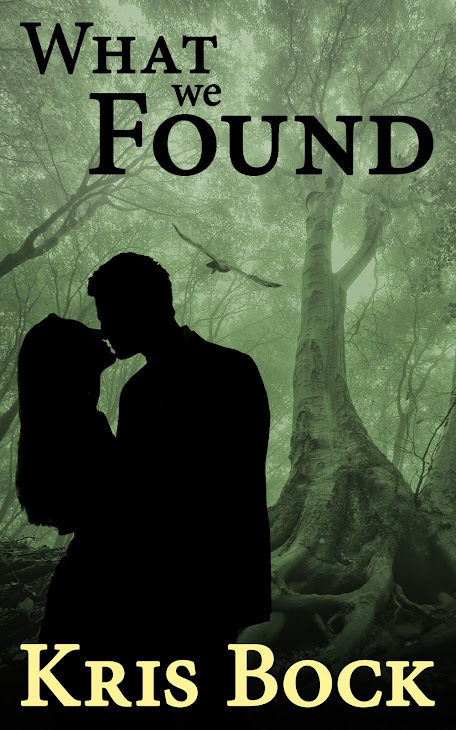 ...a fantastic story, ripe with suspense and filled with likable, tangible characters. 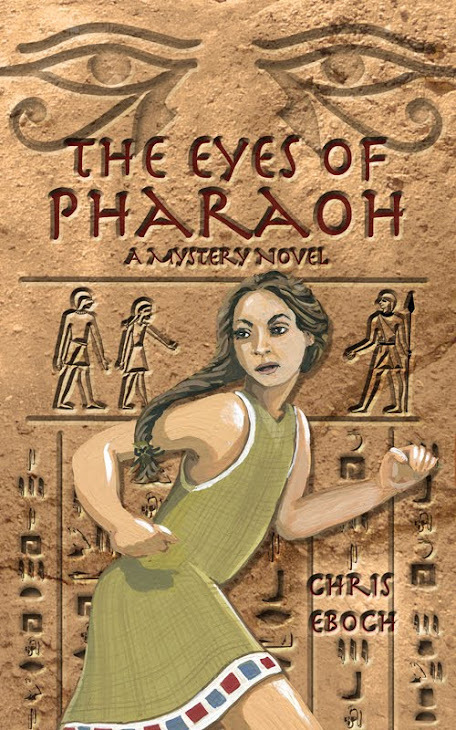 I highly recommend this book for girls and boys (and adults) who like mysteries. You should definitely read this book! What I loved most of all, was the way my 4th grade daughter got sucked into the story. She's a reluctant reader so it was a joy to see her completely absorbed in a book; she immediately started the second book in the series when she finished, and can't wait for more. 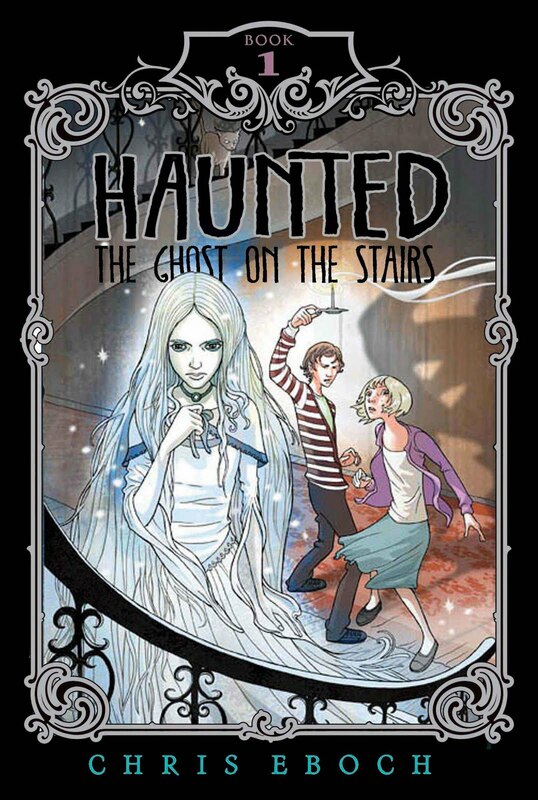 Thirteen-year-old Jon and his eleven-year-old sister, Tania, are typical kids – except for the fact that Tania can communicate with ghosts. 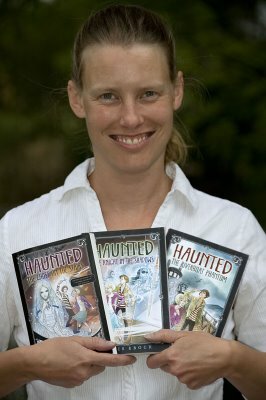 Their mom and stepdad are producers of a ghost-hunter reality television show, but they don’t know about Tania’s gift – and Tania wants to keep it that way. While filming at an old hotel in Colorado, Jon and Tania find themselves trapped in a ghostly love story that happened more than a century ago. Local legend has it that a ghost bride still wanders the hotel, waiting for her lost husband. Can this fearless brother-sister duo reunite a newlywed couple – and put these ghosts to rest at last? The Ghost on the Stairs at Amazon. The Ghost on the Stairs at B&N. The Ghost on the Stairs at Indie Bound. The Ghost on the Stairs at iBooks. 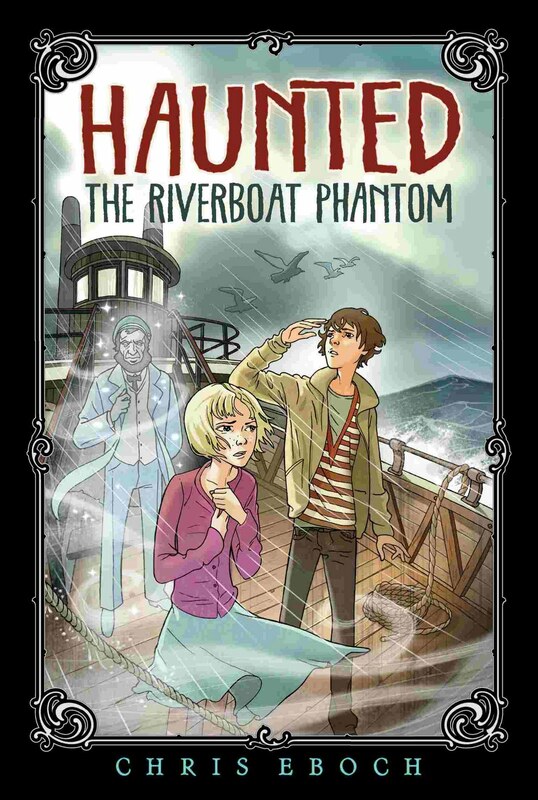 Jon and Tania are back and tracking down more ghosts, this time on the Mississippi River on an antique river-boat. With them are their mother and stepfather, producers of a hit TV show about "real-life" ghosts -- a topic no one on the crew seems to take all that seriously. 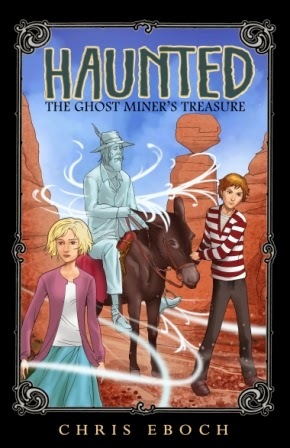 But Tania has a gift -- she can see and communicate with ghosts, and this time she’s in touch with the spirit of a riverboat captain who accidentally caused the boat to catch fire, and he’s making trouble for everyone. Will Tania be able to help this troubled spirit find peace before disaster strikes again? When Jon and Tania attend a costume party at a museum full of ancient arms and armor -- relics that have been through bloody battles, or worse -- it doesn’t surprise either of them to discover a ghost lurking in the shadows. But this particular ghost is on a mission, and if Jon and Tania don’t help him, he just might become the warrior he was when he was alive, and that means trouble -- and danger -- for everyone involved!